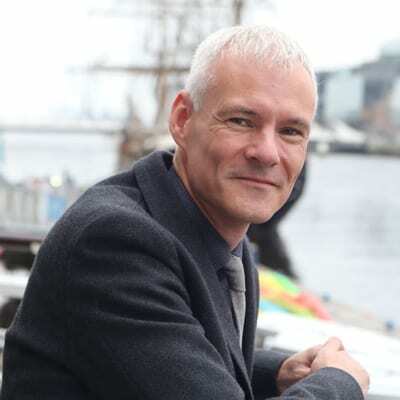 Tony Corrigan is the founder and Director of TenderScout, and is a New Frontiers programme past participant. Tony has a background in software development and tender writing. He set up an IT consultancy in 2003 and it was while working on numerous tenders and proposals for his clients that he started to research what solutions were available to help qualify opportunities and write winning tenders. When he couldn’t find anything, he realised that there was an opportunity to provide such a service himself, which is when the idea for TenderScout was born. TenderScout is a proven process that transforms competitive sales outcomes. It identifies winnable opportunities, increases a company’s ability to compete and typically delivers between 10% and 30% sustained revenue growth. When starting out, Tony sought advice from existing consultancy companies, government buyers and government support agencies; only to be told that his idea wouldn’t work. Nonetheless, he believed strongly in what he wanted to do and over three or four years he self-funded the project while developing the technology side of the business. It was a conversation with his bank that first alerted Tony to the New Frontiers programme. He joined the programme in 2012, at Dublin Institute of Technology. Starting out on a new business is difficult on many fronts. A large part of it is that because you’re doing something new, it’s often difficult to explain to other people. With New Frontiers, you have a willing audience that listens to your challenges and understands what you’re going through. You get lots of constructive criticism delivered in an atmosphere that is hugely supportive. A particular benefit I received was from mentors who consistently probed my business for weaknesses in terms of messaging and value proposition. This was a very important step in finding my market. Tony launched the TenderScout platform in 2013, and in March 2014 he was joined by business partner, Padraig Coakley. TenderScout is now an Enterprise Ireland client and has been awarded Competitive Start Funds (CSF). NF is a positivity-dominated programme, where every failure is seen as an opportunity to succeed.